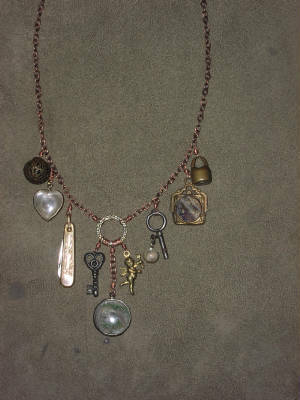 Shown on this page are pieces I have made with the wonderful old, broken, miscellaneous treasures people have brought me. 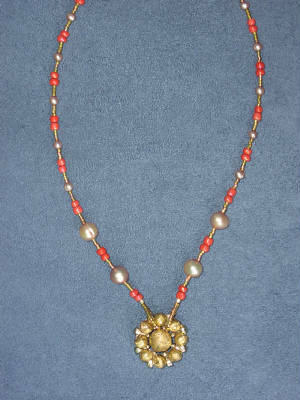 Bring me your "junk" and I will make it wearable for you! 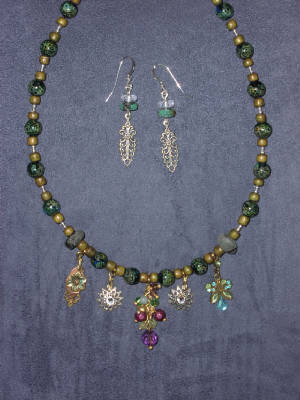 These links--maybe to a belt?--were very old and transformed easily into an amazing necklace when chunky chain and agates were added as dangles on either side of the center-piece. Looks like it belongs in a museum of medieval art! Beautiful old charms, locks, keys, pocket-knives, etc. were brought together in a chatelaine-style necklace. 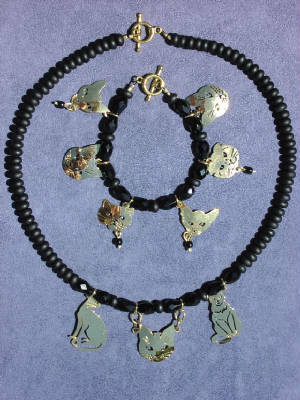 This is such a great way to bring together any collection of precious keepsakes into one wearable piece. 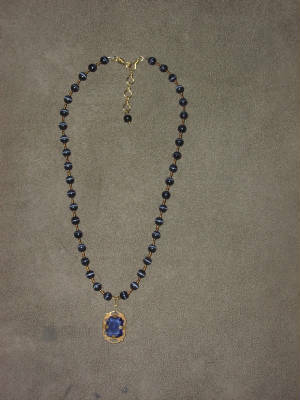 Simple elegance: the blue and gold pendant brought to me was made into a necklace with blue cat's eye glass beads and gold Myuki seed beads. 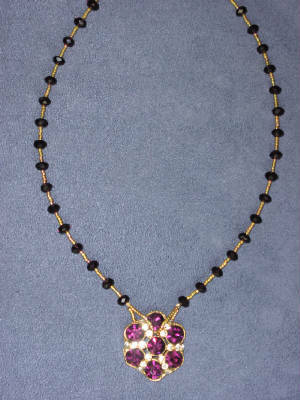 Necklace made with a large, formerly clip on earring transformed into a pendant. 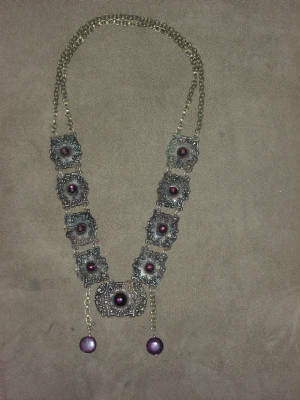 Add some pretty burgundy colored glass rondelles and this makes a stunning piece of jewelry! 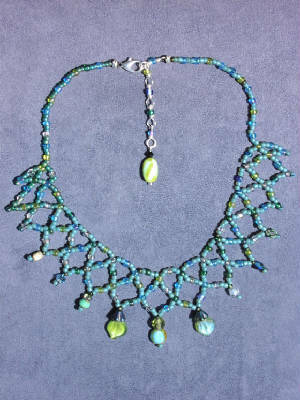 This was a frayed lariat...now it is a netted collar.